Your list of things to see and do now includes Jeju Jungang Underground Shopping Center, Seongeup Folk Village, Maze Land, and other attractions. Visiting Hamdeok Beach and Seopjikoji will get you outdoors. You'll find plenty of places to visit near Jeju: Seogwipo (Seongsan Ilchulbong, O'Sulloc Tea Museum, & more). To see traveler tips, other places to visit, more things to do, and more tourist information, you can read our Jeju journey tool . Kuala Lumpur, Malaysia to Jeju is an approximately 9-hour flight. The time zone difference moving from Malaysia Time to Korea Standard Time is 1 hour. Finish up your sightseeing early on the 5th (Fri) so you can go by car to Seogwipo. 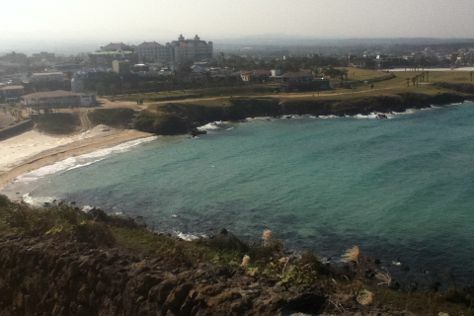 Jeju Island's second city, Seogwipo acts as a base for explorations of the island's south. 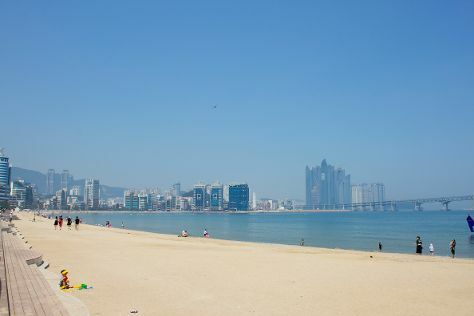 Gwangchigi Beach has been added to your itinerary. Take a break from the city and head to Jeongbang Waterfall and Yongmeori Beach. The adventure continues: take in the dramatic scenery at Cheonjiyeon Falls, explore the striking landscape at Hwangwooji Coast, see the interesting displays at Teddy Bear Museum Jeju, and go for a walk through Daepo Haean Jusangjeolli Cliff. To find where to stay, other places to visit, more things to do, and other tourist information, refer to the Seogwipo road trip planner. Traveling by car from Jeju to Seogwipo takes an hour. Alternatively, you can take a bus. You will have some time to spend on the 8th (Mon) before leaving for home.